Food. Family. Gifts. Travel. The winter holidays can be enough to send anyone into a tailspin. But one of the simplest and least expensive ways to enjoy this time of year can be one of the best. Go outside, and find yourself a patch of nature. That’s it. That’s all. Take a 5 minute break and stroll through the pocket park next to your work. Spend 30 minutes after dinner and walk the dog around your city block and look at the silhouettes of the street trees. Grab your lunch and use that hour in your town’s community forest and feel the snow and fallen leaves crunch under your feet. Gift yourself a Saturday, throw the kids and the dog (check the leash laws first!) in the car and visit a local National Forest, state park or land trust. If nothing else, visit the Christmas tree lot on the corner and wander through the rows. Smell the wood, feel the needles, see the different shades of green. It will make a huge difference in your outlook this time of year. In the Northern Hemisphere - especially in my state of Maine - our days are short, the air is colder, and snow often blankets the ground. Just getting out of bed can be a chore in the morning. 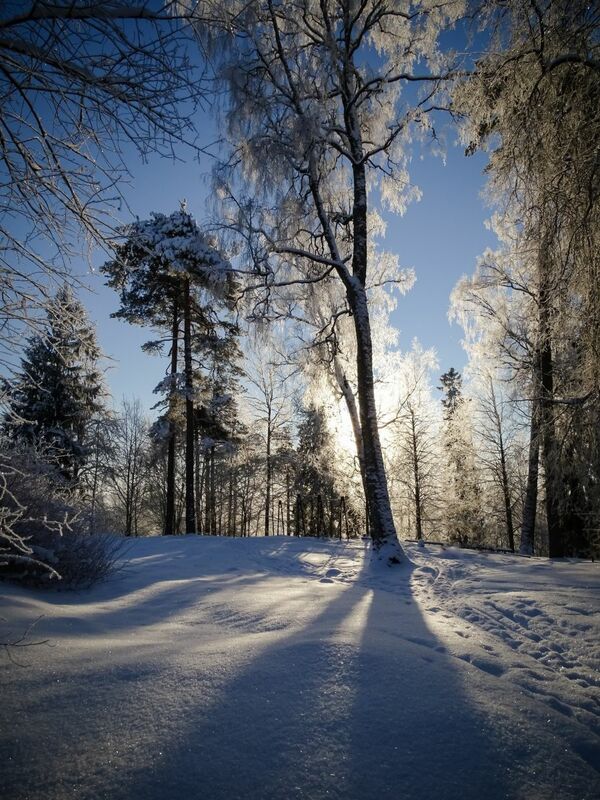 But simply bundle up and step outside for just a moment – look up, instead of down at the concrete sidewalk – see how the sun, low on the horizon, sparkles diamonds across the snow and casts the trees in a light unlike any other? 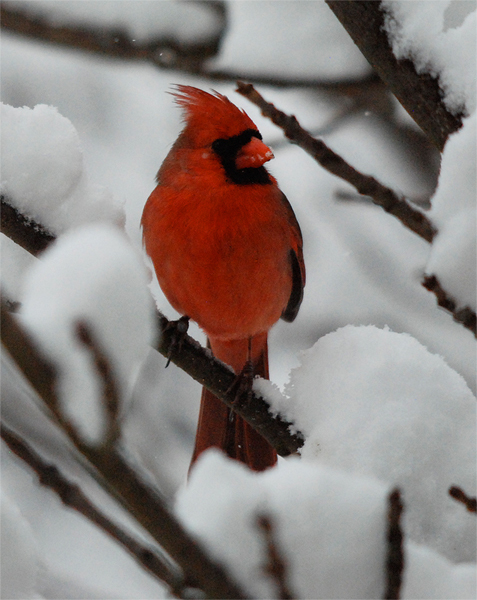 Listen to the bright red cardinals call to each other as they flit from branch to branch. It’s truly a feast for your senses. Why else would generations of people from across the globe have traditions of bringing evergreens into their homes during this season? We all need a reminder of light and life over these darker days. Every day it seems, a new report is released showing just how good trees are for our health. They reduce blood pressure, reduce anxiety, reduce stress. They give us oxygen, clean the air and filter our water. The view of trees outside a hospital window reduces healing time, and outside a school window calms children with ADHD and other learning difficulties. I could go on and on. But take my word for it. Or just try it. Go outside. Hug a tree. And have a wonderful holiday season. Note: this page contains paid content. Please, subscribe to get an access. Share your urban forestry achievements here! The Urban and Community Forestry Committee is comprised of urban forestry coordinators from each of the 20 member states and the District of Columbia. Urban forestry coordinators are responsible for leading state-level urban forestry programs in their respective states. Urban forestry is about the trees where people live, work and play - and so, includes trees and forests in our towns, along our streets, in our parks and in our backyards. State coordinators work with a wide range of constituents and partners including: local and tribal governments, school districts, nonprofits and community-based organizations all focused on improving the stewardship of trees and the ecosystem services they provide.